The good all-round white napkin that is used in hospitality & food service departments. White, 300x 300mm, Single ply quarter fold. The good all-round white napkin that is used in hospitality & food service departments. White, 300x 300mm, Single ply eighth fold. 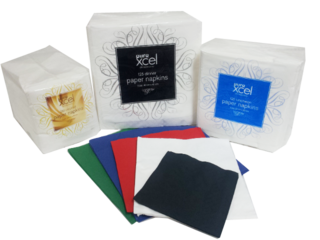 Carton 2000 serviettes (Pack size 100's). Carton 6 packs of 500 (3000). Cocktail Napkins Black. 2ply. Embossed. Cocktail Napkins White. 2ply. Embossed. 2ply Dinner Serviettes in pastel colours. 3ply Dinner Napkins in dark colours. 3ply Dinner Serviettes in pastel colours. 1ply dinner serviettes. 1/8 fold. Style Hygiene Dinner Serviettes. Premium quality. 3ply. White. 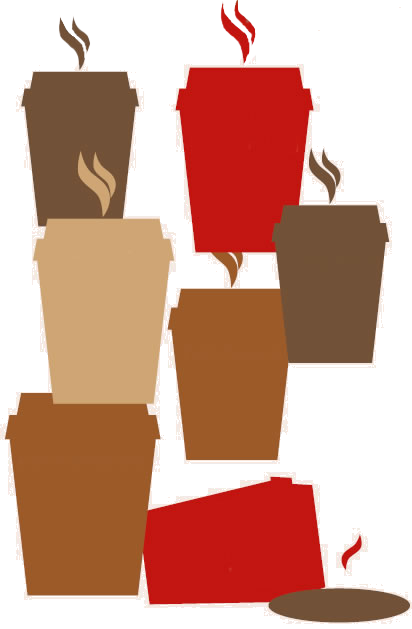 Napkins for use in dispensers. Carton holds 10,000 napkins. 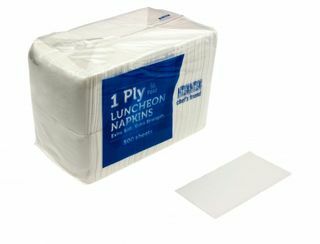 (20 packs of 500 napkins). 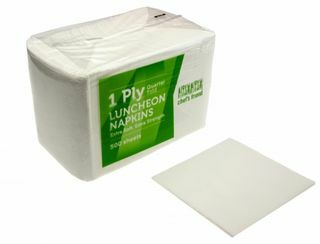 2ply Black Luncheon Serviettes. Embossed.